We all know someone who has already started to count down the number of days until Christmas. For the rest of us, our dreams may consist of just a few relaxing vacation days without the holiday season stress. Before you deep dive into the season’s festivities, why not consider a little staycation right here in BC’s backyard? Just a weekend will do the trick and we have just the places for you! Keep reading for three winter staycations on our bucket list. The Okanagan is ever popular in the summer, but it is also a fantastic getaway destination in the winter! Penticton is a short four hour drive from Vancouver and is not only a beautiful getaway, but also a lot of fun! Whether you are an adventure seeker and want to try a snowshoeing adventure [http://www.hoodooadventures.ca/snowshoeing/], cross-country skiing, or prefer to do something more laid back, there’s something for everyone. The quintessential wine tasting is still an option in the winter and some fresh picks can also be found at the Penticton Winter Farmer’s Market. Make sure to stay at the Penticton Lakeside Resort [https://www.pentictonlakesideresort.com/] which is situated right on the lake. Every year, the hotel gets into the holiday spirit with a fully decorated lobby and they also convert their private beach into an outdoor ice-rink! The resort is also home to Penticton’s only casino and the Hooded Marganser restaurant which has stunning lake views and delicious food. Getting up early, bundling up and hitting the slopes isn’t your winter style? If dipping your toes into warm natural mineral waters of lounging pools sounds like heaven, then Ainsworth Hot Springs [http://www.ainsworthhotsprings.com/] in BC’s Kootenay region is for you. The Ktunaxa First Nations peoples were the first to visit these soothing, warm waters for their restorative properties after a long day of hunting, gathering and fishing. You can explore the unique horseshoe-shaped hot spring cave with its stalactites and stalagmites – the hottest pool on site – soaking in the mineral waters. Once you are in need of some cooling, jump into the stream-fed cold plunge. In need of some further relaxation? Visit the Spirit Water Spa for a massage or body wrap. Later on in the day, take a serene and scenic hike through surrounding forest trails and come back to a scrumptious dinner at the Ktunaxa Grill. A perfect getaway to restore your mind, body and spirit if you ask us! Looking for some island time? 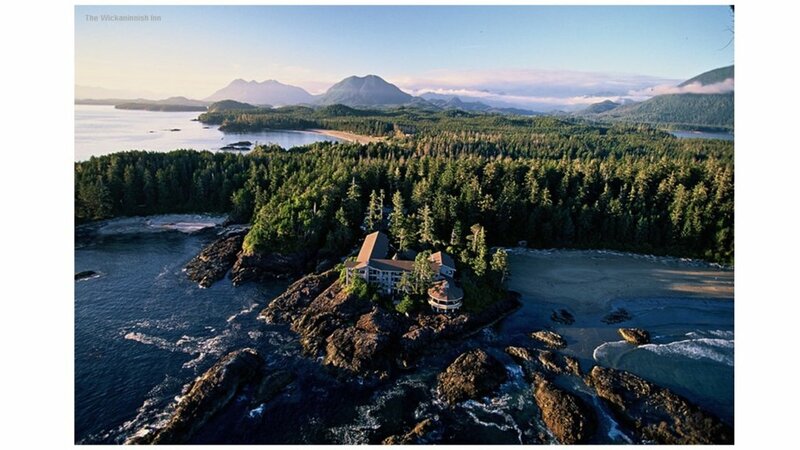 Tofino is not only fantastic for surfing in the summer, but is also great for a weekend of rest and relaxation at the Wickaninnish Inn [https://www.wickinn.com/]. Start your day here by taking in the majestic Vancouver Island coastline from your room then head over to the Rainforest Haven studio for a rejuvinating yoga class. Continue the day with some treatments and packages at the Ancient Cedars Spa and top it off with a farm-fresh meal from The Pointe Restaurant. The perk to the Wickaninnish Inn is their pet-friendly rooms and dog sitting, so your fur babies don’t need to be left at home. Children are also welcome and can be taken care of by babysitters when the time comes for your well-deserved massage and glass of wine!